We launched two new campaigns this week — Kazakhstan (IndustriALL and ITUC) and Iran (Education International and International Transport Workers Federation). The first of these is already in 11 languages and has 4,200 supporters. Prior to doing this, we closed the previous Iran campaign which focussed on Esmail Abdi’s hunger strike. This campaign had 8,410 supporters and ran in 18 languages. In the UK, we helped to publicise the upcoming strike by McDonald’s workers — including inviting our subscribers to demonstrate at the company’s headquarters in London next weekend. Having finally caught up with an overflowing inbox, all campaigns and mailings that have been translated have now finally gone live. Our volunteer translators have been working overtime to keep up with all the new campaigns, and this is greatly appreciated. Our mailing lists grew by 184 this week due to new supporters for our new campaigns. David Eden, who was responsible for all of LabourStart’s translations into Spanish for many years, helping to grow our mailing list and raise our profile in Spanish speaking countries, passed away on 18 July this year. Some of you will have met David at the LabourStart conference in Washington, D.C. in 2009, where he was an active participant and chaired one of the sessions. 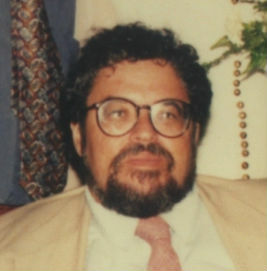 David was a lifelong democratic socialist, a member of Kibbutz Yasur and a founder of the Peace Now movement in Israel. I first met him the early 1980s and we worked together both at the Givat Haviva educational institute and in the United Workers Party (Mapam). David moved to the United States in 1996 where he continued to support the causes of peace and social justice both in Israel and the US. He was a good friend and a good man, and will be sorely missed. The LabourStart family extends its condolences to his wife Elka and his family. Cambodia campaign: This campaign, launched two weeks ago, is now in 14 languages and has picked up 6,603 supporters. We are hoping for many more, as there’s been very good publicity, especially in Canada. We’ve asked British unions to also get involved, as British retailers are a key target. Belarus campaign: This campaign, submitted by IndustriALL and the ITUC, went live yesterday (Thursday). Kazakhstan campaign: We have had a campaign submitted by IndustriALL and the ITUC and we expect it go live tomorrow (Saturday). 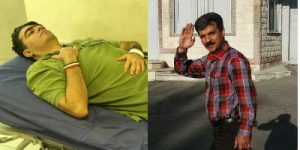 Iran campaigns: We’ve been asked to help with a campaign in support of a jailed trade unionist in Iran, but are awaiting a response from the group which is currently promoting this. We’ve asked the Education International for permission to close the existing Abdi campaign as it is out of date. British trade union campaigns: We continue to do promotion for TUC-backed online campaigns. The most recent ones (which we promoted with mailings to our UK list and on social networks) included for the unions Equity (Greenwich Dance) and BECTU (VFX professionals) In addition, the TUC has pledged a donation. Mailing lists: We picked up 341 new subscribers this week, due to the Cambodia campaign. Brazil page in Portuguese: We fixed problems with the new photo of the day feature here. Inside LabourStart: We removed links to older pages which are no longer being updated. Tagging video stories: We’ve now completed the process, so on all our pages, video stories are appropriately tagged as such, no matter where on the page they appear. Campaigns: We closed the Kazakhstan campaign after 4 months — but are likely to launch a new one soon with the support of several global unions. The campaign ran in 17 languages and had 8,157 supporters. We have a new campaign in the works, brought to us by a coalition of trade unions and NGOs in response to the sudden closure of a garment factory in Cambodia. It should go live today. Our Iran campaign seems quite out of date, as Esmail Abdi was apparently released and then re-arrested. We have asked the Education International for clarification and guidance. News: Among the top labour news stories we’ve given exposure to this week were the road blockades and fires set by sacked workers at Haifa Chemicals in Israel; the ongoing strike by teachers in Peru, who have now marched on the capital; the struggle by Palestinian workers to form a union at a furniture factory in the occupied territories; the campaign to support Nissan workers organising to form a union in the USA; and finally, the struggle of train drivers in Pakistan. Turkish Facebook page: This has grown spectacularly in the last few weeks, rising from about 250 to 1,815 — 480 of those in the last week. See the page here. Mailing lists: While we wait for new campaigns to launch (Cambodia and Kazakhstan – see above) our lists are stagnant and not growing. Donations: The ITUC has made a generous pledge.